The Ms. 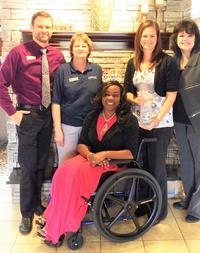 Wheelchair USA program was featured on WKYC/NBC News. Click the link below to view the story by Amani Abraham. The Ms. Wheelchair USA program has been in existence for more than 20 years. It began as a state program, selecting winners in the state of Ohio to do a national service platform. As the program grew in popularity and was televised live, potential candidates began coming from all over the country asking to compete in the outstanding program. The program became a national competition 14 years ago and has been going and growing strong! Contestants in the Ms. Wheelchair USA program must be 18 years of age with no maximum age! Contestants must have a mobility issue, but may have use of their legs. Our program does not discourage ability, but instead celebrates the individuality of the women in the program. State and regional representatives are selected based on a judged, application process. The national titleholder is crowned following a week of activities, programs, learning sessions, press appearances, and three nights of live stage competitions. Contestants compete in private interview, round-robin interviews, evening wear, on-stage interview, platform presentation, and marketing statement competitions. The winners spend their year on a state, regional and national level representing The Dane Foundation, Ms. Wheelchair USA, and their own platform issue or activity. The Ms. Wheelchair USA organization promotes glamour, self-confidence, and community service; celebrating the accomplishments of women with disabilities! To become a contestant, representing your state or US region, enter today! Meet our 2019 Ms. 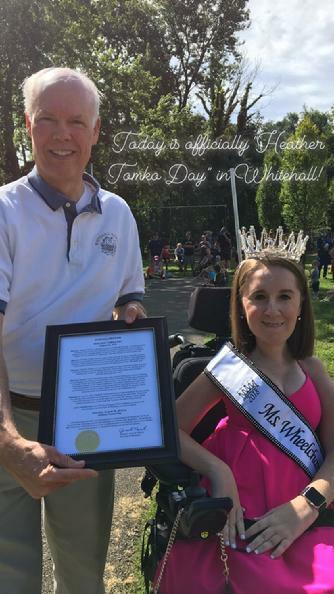 Wheelchair USA Heather Tomko! Heather Tomko, Ms. 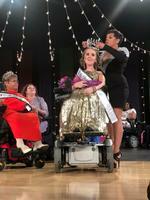 Wheelchair USA 2019, is from Pittsburgh and competed in the national pageant as Ms. Wheelchair Pennsylvania USA. She has a Bachelor of Science in Mechanical and Biomedical Engineering from Carnegie Mellon University, and is a Masters of Public Health student at the University of Pittsburgh. She enjoys writing her blog called “The Heather Report,” the musical “Hamilton,” and loves animals. Tomko has Spinal Muscular Atrophy, a genetic neuromuscular disease, which she has had since birth. Heather’s platform, Increasing Inclusion of People with Disabilities into their Communities, deals with advocating and educating the community about disabilities and accessibility. Heather not only won the title, but also received the Invacare People's Choice Award and the Dr. Georgi Hudson-Smith Quest For Knowledge Award. Heather will spend her year of service working with The Dane Foundation, increasing opportunities for people with disabilities to be included into various aspects of their communities.